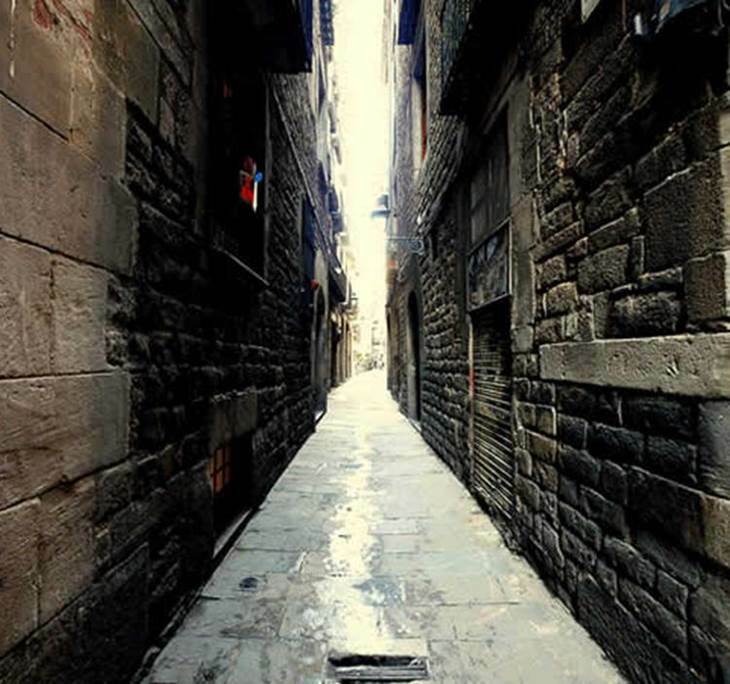 The Jewish district is called “El Call” and is located in the middle of the Barri Gòtic. It starts at the northwestern corner of the Plaça Sant Jaume. The name “El Call” comes from the Hebrew word kahal, which means community or congregation. 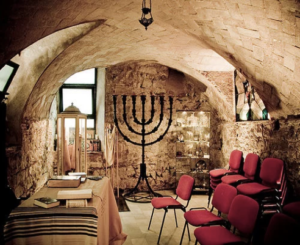 While Barcelona was never the largest Jewish center in Spain, it did play a large role in the history of Jews in Spain. Long before the expulsion of the Jews in 1492, Jewish culture flourished throughout the Iberian Peninsula. About 4,000 Jews were living in Barcelona during the 13th century and many worked as doctors, scientists, scholars, merchants, or money lenders for the Catalonian aristocracy and crown. 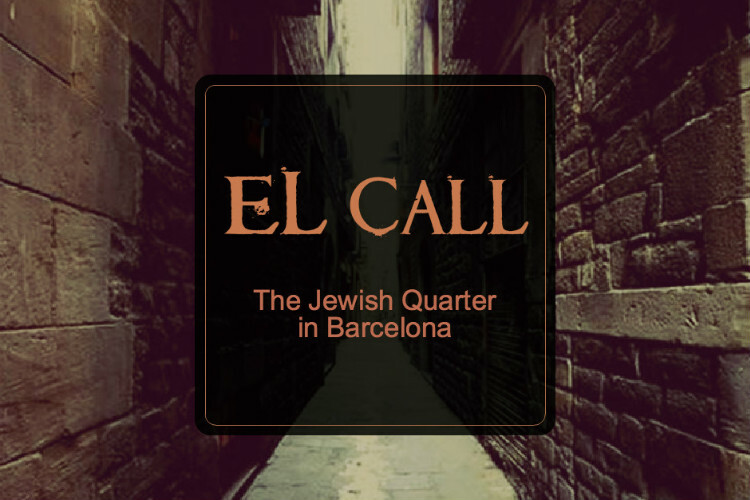 Medieval Barcelona was approximately 15% Jewish, with most living in this Jewish quarter. During the expulsion of the Jews in 1424 by Catholic Kings Ferdinand and Isabella valuable trading contacts and knowledge was lost and the Jewish population was decimated. The king ordered that the size of Jewish synagogues be no larger than the smallest Christian church. This is the reason why many important and remaining synagogues are very small. In the center of this district is Spain’s oldest synagogue and one of the oldest ones in Europe. The synagogue is called Sinogoga Major de Barcelona. It has Roman foundations and is thought to have existed in some shape or form since the 5th century. During a research project on the Jewish history of Barcelona, the true origins of this then forgotten building were discovered. After the expulsion of the Jews, the building had many uses including a storeroom and 17th century apartments on top. The synagogue was restored and finally opened to the public in 2002. At the entrance a small door leads you down to the original street level of the Roman Foundations. Today regular services are not held in here, but special ceremonies do take place from time to time. Today narrow streets lined with 14th and 16th century buildings punctuate the tiny ancient neighborhood. Remains of the female Jewish public baths can be seen nearby in the basement of the pleasant Café Caleum at the intersection of the streets Banys Nous (which means New Baths) and Palla. The men’s baths are hidden in the rear of the furniture stop S’Oliver. There are also now four active synagogues, an odd kosher store, and a gradual influx of foreign Jews. Judaism is more present now than it has been in over 500 years.